Anyone who has made an offshore passage has crossed wakes with Norseman 447's, as these rugged yet luxurious yachts are among the most popular cruisers ever built. Designed by world-renowned naval architect Robert Perry, the first Norseman was built in 1979 as an aft cockpit. The center cockpit version was developed in the 1980s, and construction of MANDARIN (hull no. 33 of 89,) began in fall 1983 in the Ta Shing yard in Taiwan. Ta Shing, the best of Taiwan boat yards, has built and continues to build many respected boats, including the Mason 33, 44, 54 and 64, NordHaven 57 and 62, Orion 50, Tatoosh, and the Tashiva and Taswell series. The original owner commissioned MANDARIN in early 1984, took possession in Taiwan, and maintained her in that area for a number of years, before shipping her to Honolulu. 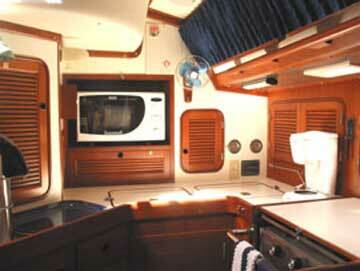 After a massive refit (see below,) he cruised her to the South Pacific and back and sold her in 1999. In the 90's, the original owner invested $100,000 preparing Mandarin for a South Pacific cruise. 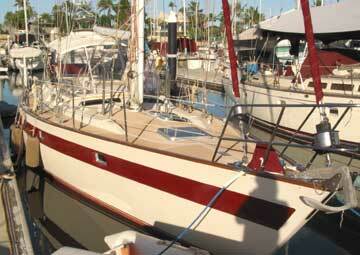 He pulled the mast, and completely rebuilt it with new paint, wiring, internal rigging, sheaves and gooseneck. He replaced the chain plates and also all standing rigging with oversize 316 SS wire and Norseman fittings. 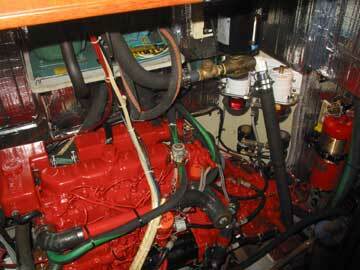 Sails were also re-stitched and the genset replaced with a powerful 6kw Northern Lights generator. Since 1999, the current owner has invested nearly another $100,000 and has replaced two of three fuel tanks and the main water tank using the best materials and labor, installed an electric head and LectraSan in the forward head, and replaced all faucets and some Formica countertops. He had the auto pilot rebuilt at Alpha Marine. He installed new sacrificial covers on Yankee, Stays'l and Main, rebedded deck prisms, re-gasketed all hatches and ports, replaced all hinges and latches on all opening ports, and installed new laminated safety glass/Plexiglas in all portlights and opening ports. He had a brand new Dodger/Bimini and full boat cover of the best materials built, and also installed new lifelines, all engine upgrades imaginable, and much much more. Mandarin is stiff, sails beautifully on every point and, because of complete roller furling, is easily handled by a couple or even solo. 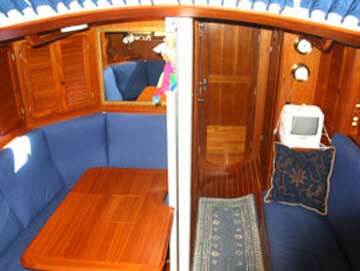 She provides fast, safe, comfortable worldwide cruising for up to four people and is truly "sail away." Add provisions and start your circumnavigation today! Contact for complete list of upgrades and gear. The boat has sold. Sorry I did not remove it.